My little blog is 3 weeks old. I’m finding that I am enjoying it much more than I thought. I just wish I was HTML savvy and could find my way around PhotoShop. So to celebrate my blog I’ve updated its look. I went from the Google Standard layout to a layout with a little pizazz (thanks to the Cutest Blog on the Block)! In addition, I am going to share the story of how Twimom227 come to be. My story is probably similar to a lot of you out there. Other than email, I didn’t use the “social Internet” at all before 2008. Then, in the fall of 2008 a couple things happened. First: my high school was planning its reunion and set up a Facebook page. We were encouraged to join Facebook so we could give input in a group setting. I had heard about Facebook, but I was reluctant to join. But, I did jump in and never looked back. When I signed up for Facebook in September 2008, there were maybe 20 of my classmates online. Last count, there were 268 classmates on Facebook… and that is just my high school class. Facebook has been a fun way to reconnect with friends and family and to stay in contact with the same group. 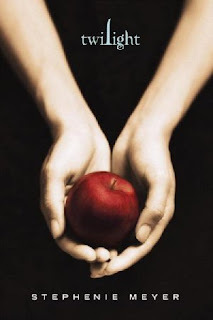 The other thing that happened in the fall of 2008 is I read the Twilight Series by Stephenie Meyer. How did this expand my online presence? Well… After I finished reading the books, I couldn’t get enough. So I went to Ms. Meyer’s website and took in as much information as possible. It was there that I read about the Twilight Lexicon. I’d never used an online forum before, but thought it was worth a look. Quickly I realized that it was a fun and safe place to discuss my love of the books with other like-minded folks. They even had a thread for us “older fans.” So I decided to join up. Which brings me to my name… WHAT DO I CALL MYSELF? I was unsure how to proceed. I didn’t want to use my real name – playing it safe and all. So I thought… “Hmmm, I’m a Twilight fan and a mom. How about Twilightmom?” Oh, I thought I was SO original. I really did. And so… Twilightmom was born. It was only after about a month of online activities did I learn there was a whole group of “Twilight Moms” and they even have their own popular website. UGH! So much for originality! (And no, I’m not one of the crazies that chase down underage Taylor and ask him to sign my underwear!) Over time my name got shorted to Twimom, which I like much better. Next comes Twitter. I had heard some things about how Twitter was fun. I decided last spring/summer (2009) to give it a go. I used the name Twimom as a base and ran with it. At first I just followed “famous folks” like Kevin Smith, Ellen and Lance Armstrong. I also got headline news and followed a few friends. Then I figured out that a bunch of my favorite authors are on Twitter. That was such a joy to find. I love that I can have simple “hellos” and “mini chats” with people like Larissa Ione, Meljean Brook, Jill Myles, Anya Bast, and Nalini Singh (just to name a very small sample). From that, I figured out how to “meet” other great folks that have similar interests to mine. I look forward to my daily chats with folks such as: Bellie7, Gigib88, IntenseWhisper, JoJosBookCorner, larissa_sarah, RexRobotReviews, TeresaDAmario, and Tigris_Eden. (and SO MANY MORE LOVELY FOLKS!!) In all seriousness, there are so many Tweeps that take good care of me… I have a question, they answer it for me. I need a hug, I get it. I love Twitter! And now finally… a blog. I NEVER thought I would blog. I’m not a writer. I’m not good with them word things. (I am an engineer by degrees and planner by practice.) But meeting so many fun/great bloggers via Twitter encouraged me to give it a try. It’s small. It’s start. I just learned a little about HTML from Bellie7 this weekend. (Notice I’ve added a couple buttons? I’ll add more as soon as I figure out more space.) I updated my look and I’m excited about where my little blog is headed. So, who is TWIMOM227? My Twitter bio says “wife, mom, friend. Book lover: paranormal romance & UF. Kindle owner!” That’s a good summary, although MOM feels like it’s taken over pretty much 24/7. I started as a “Twilight Mom,” but now I’m a “Twitter Mom.” Just don’t call me a twit! I look forward to expanding on my 3-week old blog and I hope you will help me. Now, what do you think the 227 stands for? The 227 is a date: February 27 is my birthday! Thanks for playing along! I love the new look! Congrats. The blogosphere is amazing. I get completely engrossed reading other people’s blogs and getting ideas on how to update my blog look. I am HTMK illiterate. I would love to know how you were able to make the buttons. As for the 227 – The TV show from the 80s comes to mind. Haha! But I’m sure that’s not what it’s referencing. Is it the ages of your kids? Am I close?? It looks great! I told you just give it time and you will get it right. Soon you will know everything and it will be so easy. I was going to say the same thing that Marquetta said. LOL! Were you a big fan of 227? I think I have another idea. But I’m going to keep it to myself to see if I am correct. Great job! Love the new look and I so recognize your story LOL …. 227?? You have 2 kids and are 27 years old??? I have no clue! Please tell! Thanks everyone… This is lots of fun! Bells: I think you know. I’ll tell you all tomorrow! I think I know. The new look is fabulous, love it! Oh…and I’ll just throw out a hint of what I think 227 is…could it be a date?!?! Like I told you in a tweet already 😉 I love your blog and the new colorful, happy lay-out! I’m curious what the 227 stands for. Maybe the number of items on your to-do-before-I-die-list? Look at your blog. Only 3 weeks old and crazy fabulous!